Two convictions, which it turns out are organically connected, ground NBC’s breakout sitcom The Good Place: (1) that morality requires that we do good for goodness’ sake and (2) that reality itself is committed to morality. Also, philosophy can be funny. Really, really funny. Starring Ted Danson (of Cheers fame) and Kristen Bell (former star of Veronica Mars) and created by the gifted Michael Schur, The Good Place doesn’t just make viewers laugh. It makes philosophy cool. 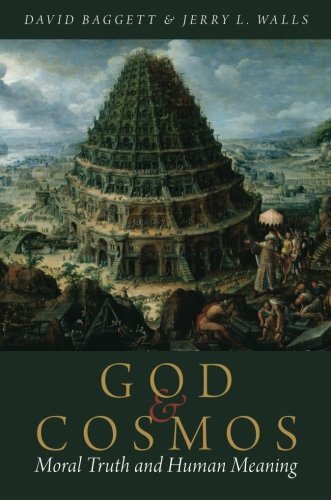 It’s a delightful example of creatively transforming the otherwise abstract ideas of moral philosophy into a form both accessible and engaging. By filtering these ideas through the disarming lens of humor, the show manages to capture just how central they are to the human condition. Due to the unavoidable, unintended consequences that any given decision in our hyper-connected world will yield, no one can earn their way into the Good Place. This, the group cannot abide; it’s simply too unfair, and they seek out the Judge, demanding the system be set right. Three of the main characters are ethics professor Chidi Anagonye (played by William Jackson Harper), the morally incorrigible Eleanor Shellstrop (Bell), and Michael (a demon played by Danson). Yes, a demon, as Eleanor and Chidi have died and are now in the afterlife, completely—we learn in season 1—on a fluke. At least Eleanor knows she doesn’t belong, given her selfish tendencies and devil-may-care attitude. Long story short, Chidi tries to teach Eleanor to be a better person—by studying ethics, which is a funny enough premise in itself. Along the way all sorts of frivolity unfolds, and in the process fascinating philosophical questions arise: What constitutes the right moral motivation? Is altruism possible? Are we meaningfully free? And a question that will occupy our attention for the moment: Does hope for an afterlife help or hurt moral maturation? Beyond the humor, though, the ethical questions the show raises give it its heart; the writers take morality and comedy with equal seriousness, especially in this third season which explores the seeming tension between one’s proper moral motivations and our sense that a moral life should lead to flourishing. Consider Chidi’s breakdown in “Jeremy Bearimy” (episode 5). The crew has accidentally stumbled onto fateful knowledge about the afterlife and the point system that determines one’s eternal destiny, which makes them ineligible to earn more points and effectively bars them forever from the Good Place. Understandably, for Chidi, the question, why do good?, becomes a stumbling block as he (quite hilariously) flirts with nihilism, unable to really affirm, when his everlasting existence is on the line, what he knows morality demands: that he do good purely for its own sake. Chidi’s existential crisis is amplified later in the season when the friends learn that the point system is rigged. Due to the unavoidable, unintended consequences that any given decision in our hyper-connected world will yield, no one can earn their way into the Good Place. This, the group cannot abide; it’s simply too unfair, and they seek out the Judge, demanding the system be set right. A search for justice in an interdimensional IHOP, that’s where last week’s episode left them. What Locke seemed to recognize—as did lots of other major philosophers through the ages, from Bishop Butler to George Berkeley, from Thomas Reid to Immanuel Kant—is that morality and ultimate happiness must go hand in hand if morality is to be a fully rational enterprise. 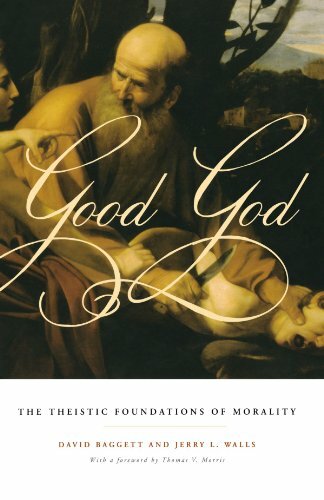 Questions about morality and the afterlife have a long history in philosophy. In his Pensées French mathematician and philosopher Blaise Pascal wrote that the immortality of the soul is so important that one must have lost all feeling not to care about knowing the facts of the matter. British philosopher John Locke is notorious for making explicit the connection between morality and the afterlife, emphasizing the importance of rewards and punishments to moral motivation. However bluntly or crassly drawn some of these connections may be, Locke did put his finger on a sound insight close to the heart of the moral enterprise when he insisted on an ultimate reckoning and balancing of the moral scales—something both Socrates emphasized in the Apology and St. Paul taught in Acts 17. As Chidi, Eleanor, Jason, Tahani, Michael, and Janet realize, unless ultimate reality is itself committed to justice, many of our cherished hopes for the rectification of wrongs and redemption of sufferings are in vain. In addition to fear of punishment or hope for reward, Locke also wrote about the legitimacy of acting according to conscience. Be good for goodness’ sake, irrespective of the consequences. But what if being or doing good were to produce, rather than good consequences, horrible ones? What if, as in Michael’s example from last week, a simple produce purchase contributes, by way of pesticides used in their cultivation, to global warming and ecosystem destruction? How can doing good for goodness’ sake square with happiness for all? What Locke seemed to recognize—as did lots of other major philosophers through the ages, from Bishop Butler to George Berkeley, from Thomas Reid to Immanuel Kant—is that morality and ultimate happiness must go hand in hand if morality is to be a fully rational enterprise. To retain its authority in our lives, morality requires the stability of cohering with ultimate happiness. The system itself must not be out of step with the moral code, nor can it be rigged to subvert morality. This firm belief is what drives Michael and the gang to insist that the Judge hear their grievance and do something to fix what’s wrong. Some philosophers have called this the “coincidence thesis,” which says that the moral life is, or is at least likely to be, good on the whole for the virtuous agent. The rationality of morality requires it, but certain experiences of evil can shake this conviction. So how can we believe in such a thesis? How can Chidi and Eleanor, especially after they find out that nobody’s made it to the good place for generations? The 18th century British philosopher Thomas Reid, for one, concluded that the best way to defend the coincidence of virtue and well-being is by supposing that the world is under benevolent administration. As it happens, Reid would agree with the writers of The Good Place, convinced that genuine virtue requires being committed to the moral life for its own sake, not for some reward. Importantly, though, he saw that what makes sense of that commitment is a just and benevolent administration which ensures that an agent’s virtue and good on the whole cohere, if not in this life, then in the next. The central convictions of The Good Place, then, despite their apparent conflict, turn out to be inextricably connected. As we come to the final episode of season 3, this is precisely the crux of the dramatic tension, the question that leaves Michael debilitated, unable it seems to welcome the new subjects of the rebooted experiment. The stakes are high, and viewers recognize the weightiness of his, of our, situation: Are the powers-that-be beneficent? Is goodness indeed woven into the fabric of ultimate reality?